Loma Prieta hit 5 days prior to my 14th birthday in 1989, and I still recall the events as though they were yesterday. Working where I work, and doing what I do, it’s common to encounter families who are on the verge of experiencing their own little earthquake as they walk the fault lying between their two tectonic plates of life: Progression and Regression. The tend to tiptoe between survival mode and a blind hope of finding the “magic bullet” to solve their dilemma. Push too hard in one direction and they may slide backwards. Push too far forward, and they may fall flat in an attempt at progress. If someone were to ask you to identify the one aspect of an earthquake which makes it an earthquake, eventually we’d all reach the same one-word answer: movement. 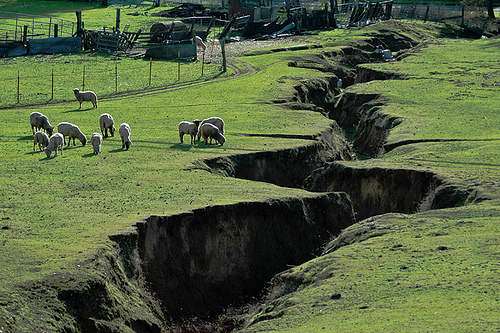 Alas, without movement, an earthquake is just…the ground. Movement is where earthquakes happen. Movement is what makes earthquakes scary, and violent, and nerve-racking, and destructive, and sadly it’s also what can make them so destructive. But the movement is the key ingredient. The same can be said for learning…movement is key. 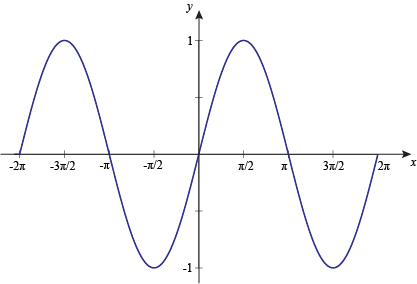 Learning is not a continuous forward motion; rather, it more resembles a sine graph. There’s peaks and valleys. There’s ebbs and flows. There’s ascents and descents. There’s no telling when, if ever, if will level off. If it’s nothing else, it’s never a static posture. Sure, maybe there’s days the fluctuations are more gradual or less gradual, but the fact remains that change is the only constant. And just like the sine graph, no matter which direction your parabola of learning begins there’s certainly no need to panic since it’s clear there’s an upswing on the horizon. Movement is movement, although understandably it may seem like an internal earthquake to the patient and their families, something is happening. Unlike an earthquake though, this movement is welcomed. Posted on September 28, 2016, in From My Perspective.... Bookmark the permalink. Leave a comment.